5 Light K9 Crystal Chandelier. This gorgeous modern crystal chandelier comes in a stunning high polished gold finish. Our modern crystal chandeliers will undoubtedly become the exquisite focal point in your commercial or residential space. 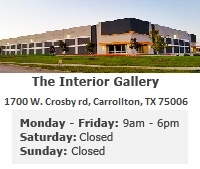 You can count on all of The Interior Gallery's crystal chandeliers to bring you sophisticated style at affordable factory direct pricing. All chandeliers are UL certified and can be used in commercial settings. Bring style and class while illuminating your room with this chandelier's 5 candle style bulb lights. These lights are capable to hold 5, 60 watt maximum light bulbs. The rounded silhouette of this modern chandelier column completes the overall design elegantly. This crystal lighting fixture is dripping with highest quality K9 30% full lead oxide content crystal strands. To add to this breath taking look the crystals are precision machine cut and polished to ensure razor sharp facets and maximum shine. This crystal lighting fixture will evoke pure optical clarity and exquisite coloring. This unique antique style crystal chandelier features some distinct modern twists that will appeal to everyone. Regardless of your design style, you can't help but love the feeling this chandelier brings into any room.